Like Che Guevera, Steve Biko is the poster child for revolution. His face adorns the T-shirts and posters of a generation who may know nothing of his teachings except that his is a face with some erstwhile significance. Thirty-four years after his death, Steve Biko is an icon but he is also a lot more than a trifling symbol of an ancient idea. KHADIJA PATEL talks to Steve Biko scholar, black consciousness thinker and organiser, co-editor of “Biko Lives!” and publisher of the journal “New Frank Talk”, Andile Mngxitama about the legacy of Steve Biko, the remaining vestiges of white privilege, the hate speech ruling against Julius Malema and most intriguingly, how often he combs his hair. On 11 September 1977, apartheid police loaded Steve Biko in the back of a pickup truck. Tortured, dehumanised, naked and restrained in manacles, he began the 1,100km trek to Pretoria where he would purportedly be imprisoned in a facility with medical amenities. So severe were the injuries Biko sustained at the hands of the police during his detention that he died shortly after his arrival at the Pretoria prison. It was 12 September 1977. State officials claimed his death was the result of an extended hunger strike, but an autopsy revealed multiple bruises and abrasions, and that he ultimately succumbed to a brain haemorrhage from the severe injuries to the head. To everybody outside the state apparatus, it was clear that Biko had been brutally clubbed by his captors. It was Helen Zille, back when she was just a journalist, as well as Donald Woods, another journalist and close friend of Biko, who eventually exposed the shocking truth behind Biko’s death. Thirty-four years later, Helen Zille is the leader of the Democratic Alliance, the opposition party taking the fight to the ANC, and Biko haunts the political subconscious of the “new dispensation”. “Steve Biko… we say Biko lives. Steve Biko lives,” insists Mngxitama, “The biggest mistake of the apartheid regime was to think they could kill him and his ideas.” Mngxitama believes Biko himself understood the need for longevity in his ideas when he wrote, “It is better to die for an idea that will live than to live for an idea that will die.” Steve Biko is certainly more than a T-shirt. His were ideas that galvanised the struggle against the apartheid and a realisation of self-worth among black people themselves. Mngxitama believes that time will prove the memory of the contribution of Biko to the struggle to be greater than even Mandela. “Today we see young people outside of the political formation trying to read and understand Biko, try to make sense of Steve Biko in a country which remains basically anti-black. So, from this point of view, it is very clear that Biko lives,” says Mngxitama. While the ANC may claim to espouse the ideas of Biko, Mngxitama believes “Biko is a threat to the current set-up that started in 1994 which continues to treat black people as sub-human. The ANC is basically managing the architecture which is anti-black”. Two weeks ago, at the opening session of the Mail and Guardian Literary Festival at the Market Theatre in Johannesburg, Mngxitama shocked the audience when he said, “South Africa is a white country under black management”. “The best tribute we can pay to Steve Biko is to fight to realise his vision of what it means to be free. It is not the picture it is now. (Biko’s vision) is simply a cantering of black people and their dignity so that every policy, every law, every act by our government is postulated to make… Right now this is not happening,” Mngxitama continues. 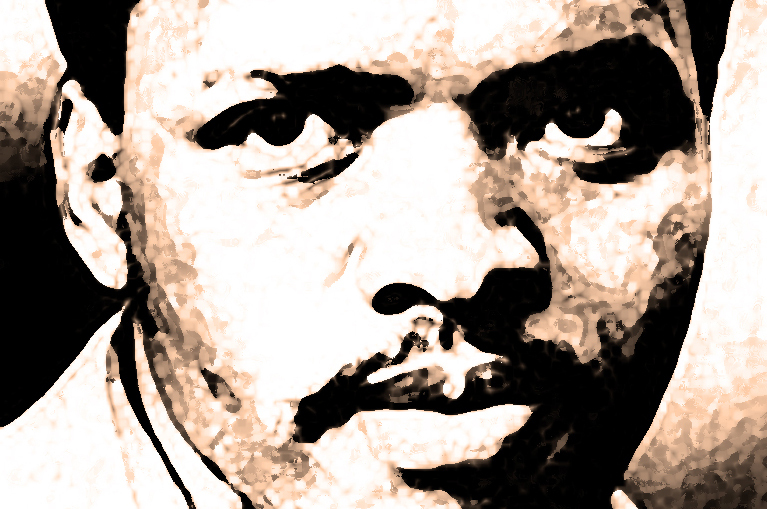 While the palpability of Biko’s ideas in South Africa is certainly debatable, there is little doubt that Biko’s legacy is indeed a powerful one. “I think the idea that blacks can be the bosses of their own destiny is the most powerful, distinct legacy of Biko,” says Mngxitama. “You must remember that until the emergence of black consciousness in our country, black people had given up hope. 1976 is in a sense the culmination of Biko’s teachings. And we all know that it proved be a reinvigoration of the PAC and the ANC leaders in exile, and gave hope to the leaders on Robben Island when there was no hope.” He points out that the “democracy we have today it is unimaginable without Biko’s contribution”. It is telling that on Monday, while many self-proclaimed acolytes of Steve Biko remembered Biko by replacing their own avatars online with an image of Steve Biko, Mngxitama replaced his Facebook avatar with a picture of a student politician at the University of Cape Town (UCT) Ziyana Miché Lategan. While Nkosinathi Biko, son of Steve Biko regaled among others, Helen Zille with a timely reminder of Biko’s message at UCT, Lategan a fierce proponent of Biko’s principles of black consciousness, was contesting a seat in an SRC election. Mngxitama lobbied support for Lategan who he says confronted no less than Trevor Manuel earlier with the message that he “was a servant of capitalism and imperialism with his anti-black Gear policies”. For all the quotations proffered in deference of Biko, the reality of his message is not an entirely palatable one. Biko will not be easily made into an anecdotal teddy bear. Among the newly crowned gentry that is the black middle class, Mngxitama is himself seen as an elaborate joke for his staunch black consciousness ideals. While he is grudgingly feted for pushing the agenda of the advancement of the lives of black people, he is lambasted for driving the debate about white privilege into circles. While he often sounds alarmingly like Julius Malema, Mngxitama is no praise singer for the embattled ANC Youth League leader. Hours after the Johannesburg High Court ruled against Malema’s right to sing the struggle song, “Dubula iBhunu”, Mngxitama said he believed Malema was a tool in a highly contrived scheme concocted by the ANC to divert attention from the realities of South Africa’s lack of transformation. “Malema did not have to jump up and down to sing the song,” he says, but goes on to opine that the ruling proves the lack of transformation in the South African judiciary. “Increasingly, we are seeing the Constitution as a tool for extreme right-wingers,” says Mngxitama. But is Andile a socialist? Only “if you say socialism will maximise democratic life and the democratisation of wealth…” he says cautiously. Ultimately Mngxitama says his vision for South Africa is one “where communities are happy and secured”. ‘ANC government protects white privilege’ in the Mail and Guardian.